Makeup artist Fiona Stiles dabbed Koh Gen Do’s Maifanshi Moisture Foundation ($62) onto Spencer’s forehead, cheeks, and chin, blending with a Beauty Blender ($20) sponge. “Coverage should be lightest around your hairline and jaw,” she says. 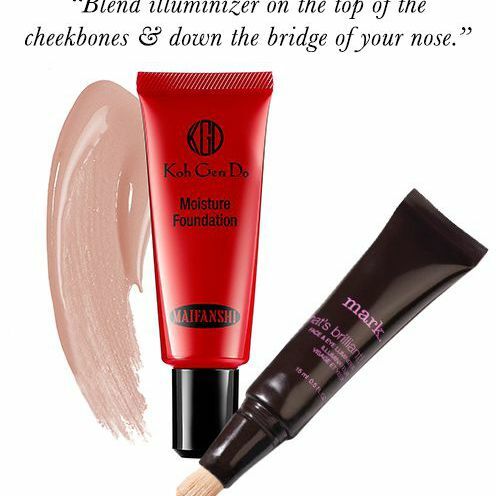 Before the base set, Stiles applied mark’s That’s Brilliant Face & Eye Luminizer ($14). Stiles dusted Shiseido’s Luminizing Satin Face Color ($30) in Petal under mark’s Pro Bronzing Powder ($13) in Bronze to add warmth to Spencer’s skin. 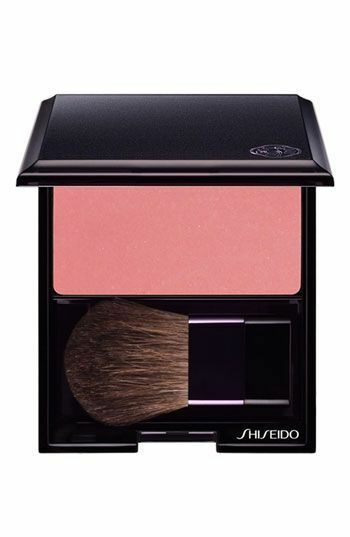 “This blush has a light, soft color with a bit of luminescence,” Stiles says. Spencer’s eyes got a wash of shimmer courtesy of mark’s Touch and Glow Shimmer Cream Cubes All Over Face Palette ($16). “Apply the lightest shade from your lash line to brow bone,” Stiles says. She applied Chanel’s Ombre Essential Soft Touch Eyeshadow ($29) in Slate under Spencer’s bottom lash line for added depth. 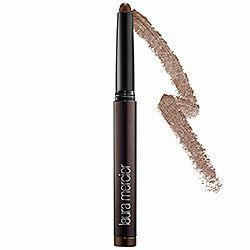 Stiles lined the actress’ top lash line with Laura Mercier’s Caviar Stick Eye Colour ($24) in Cocoa and set it with a layer of mark’s Wet/Dry Eye Shadow ($7) in Plum Velvet. To get Spencer’s thick, full lashes swipe on Lancome’s Virtuose Black Carat Mascara ($27). “This mascara really feathers the lashes out nicely,” says Stiles. 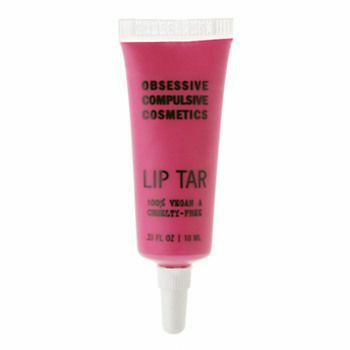 Obsessive Compulsive Cosmetic’s Lip Tar is a makeup artist go-to, but takes a little practice to master. “It gives such an amazing saturation of color but is really meant for professionals,” Stiles says. 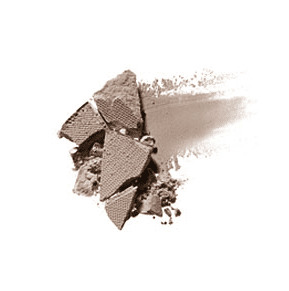 “To apply, use a really small eyeliner brush, blot lips, and dust the edges with loose powder,” she says. 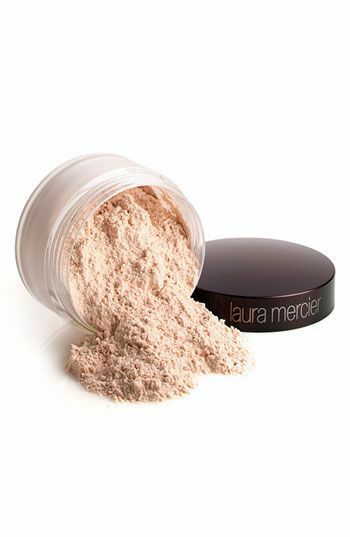 Stiles used Japonesque’s Pro Eye Detailer Small Brush ($14), Lip Tar ($16) in Demure, and Laura Mercier’s Loose Setting Powder ($35). 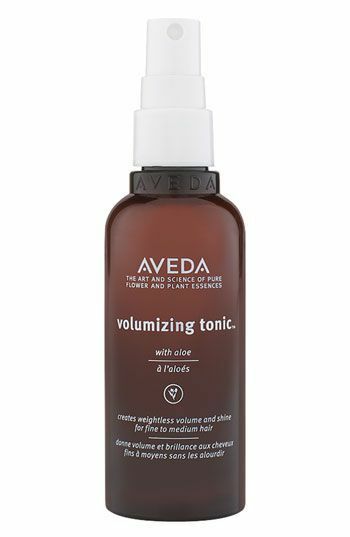 Hairstylist Ashley Streicher prepped Spencer’s just-washed hair with Oribe’s Royal Blowout Heat Styling Spray ($49) and Aveda’s Volumizing Tonic ($17) concentrated on the actress’ roots. “Sprays give a nice, weightless texture,” Streicher says. She rough dried Spencer’s naturally curly tresses, smoothing the actress’ locks with her hands, and made random curls with a 1 1/4-barrel curling iron. “The inspiration for the hair was Abigail’s mother in the late ‘70s,” says Streicher. 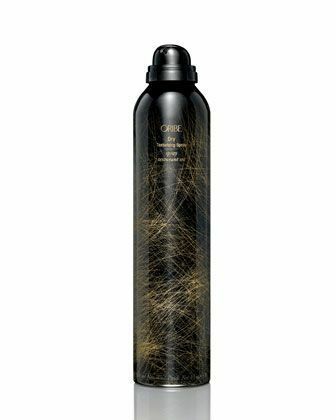 For that kind of retro volume, Streicher loaded the actress’ roots with Oribe’s Dry Texturizing Spray ($39) and teased the hair on her crown with a fine-tooth comb. A few clip-in hair extensions gave fullness to the back of Spencer’s locks before Streicher pulled two side sections back and secured with bobby pins. To keep the volume going throughout the length, Streicher switched to a vent brush (try the Perfect Style Tunnel Vent Brush ($9) by Revlon). “Loosely rough up the hair with a brush or your fingers,” Streicher says. 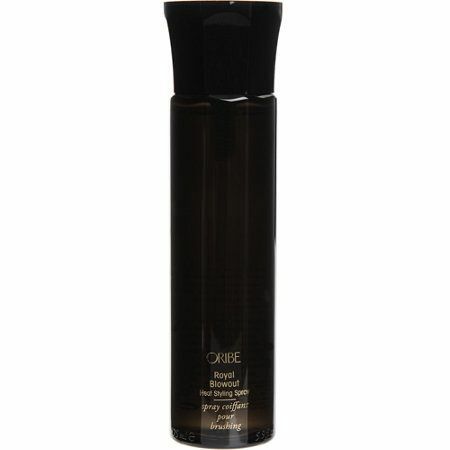 Serge Normant’s Meta Luxe Hair Spray ($25) set the style.